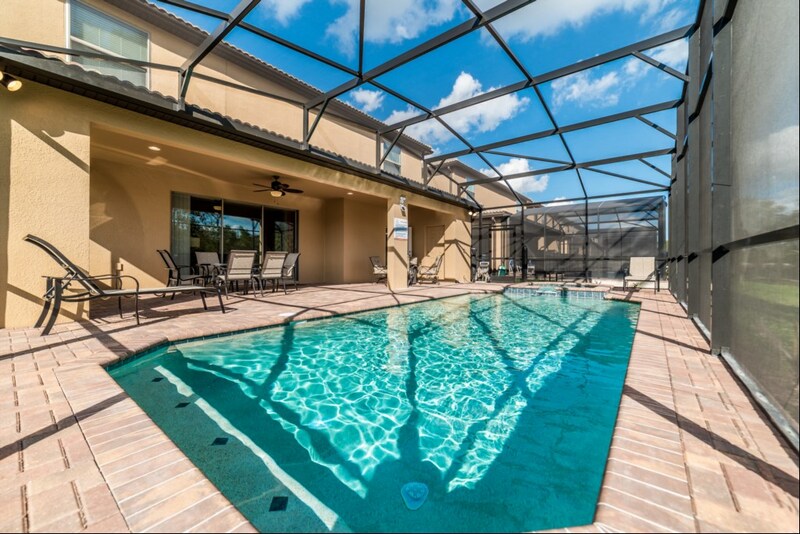 A fantastic vacation awaits! 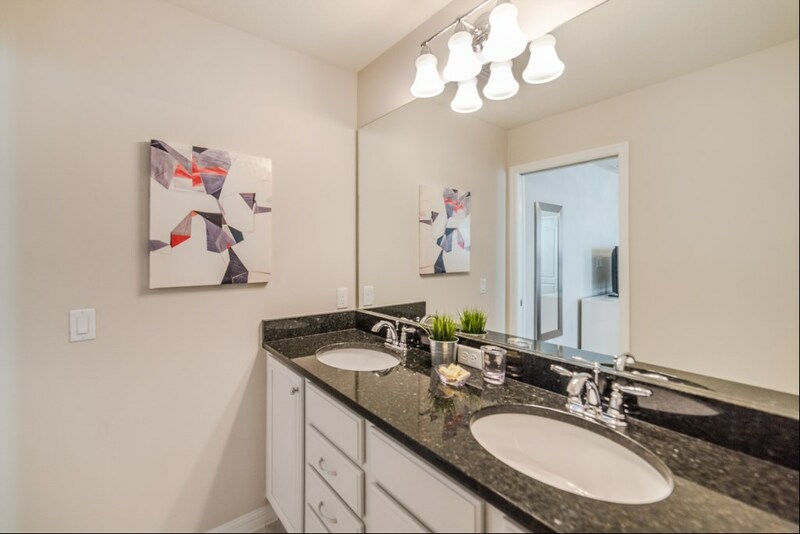 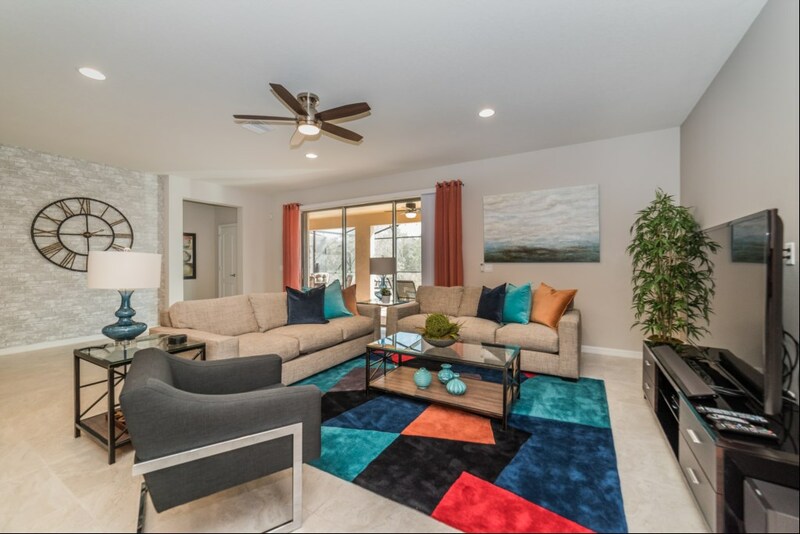 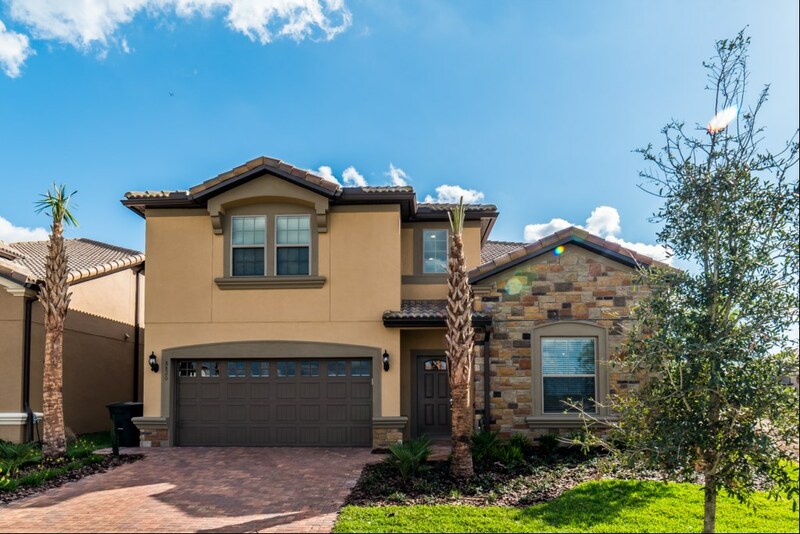 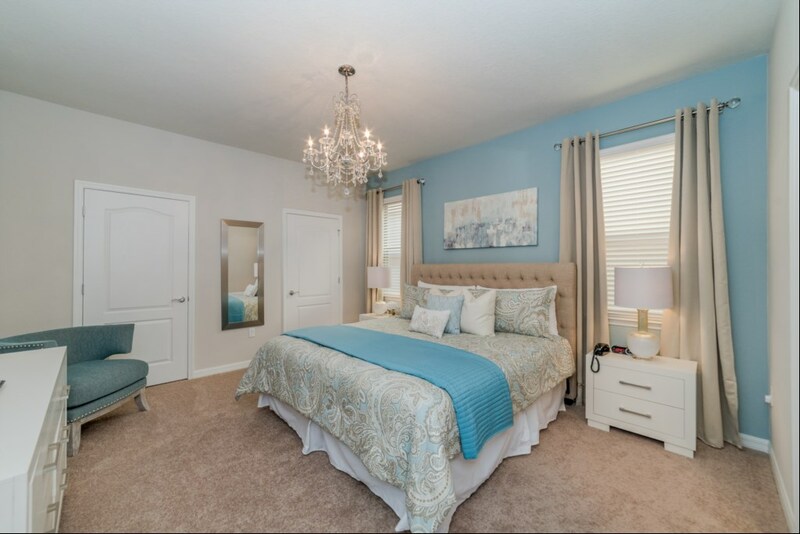 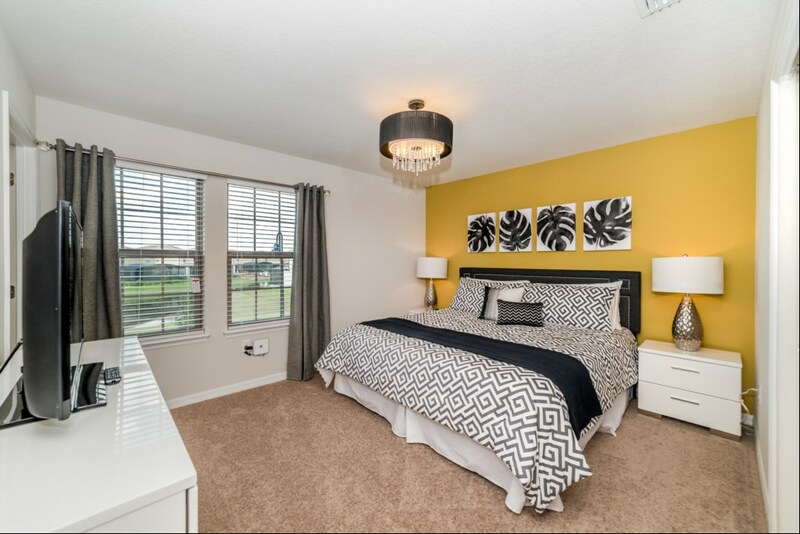 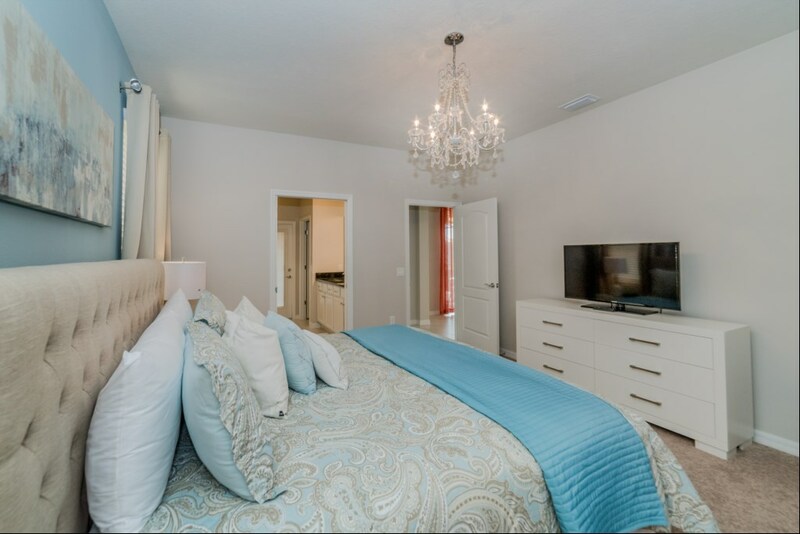 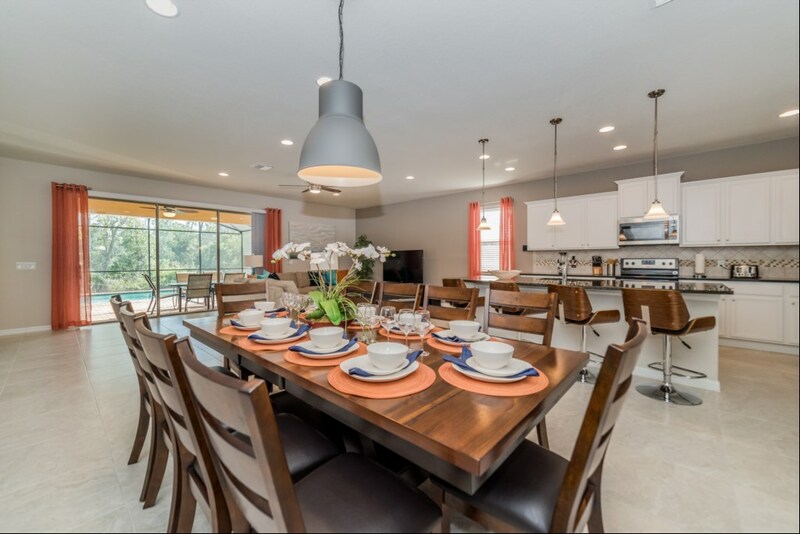 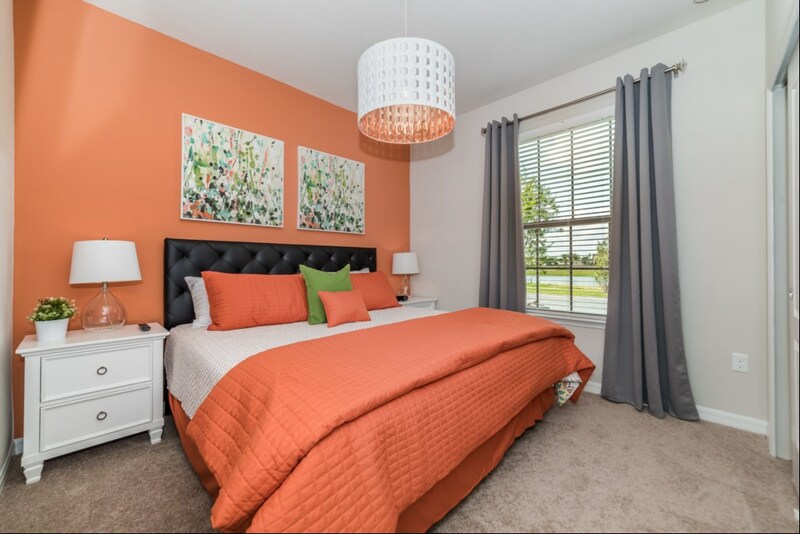 Book this dream home for your next visit to sunny Central Florida! 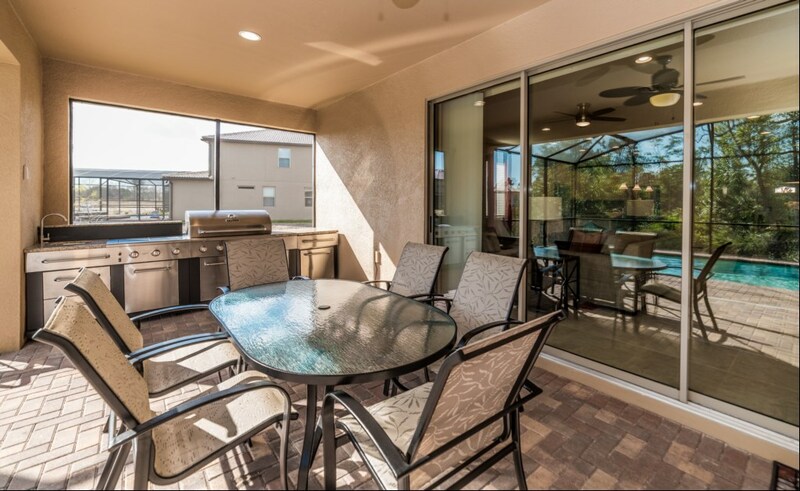 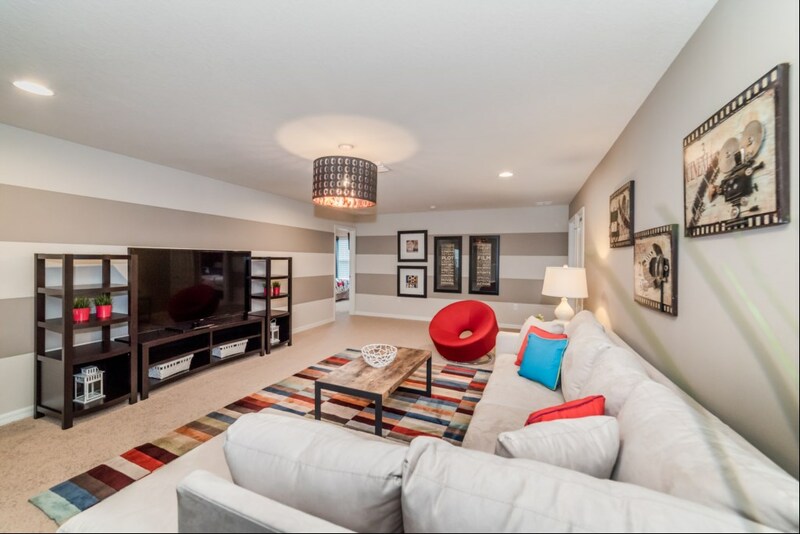 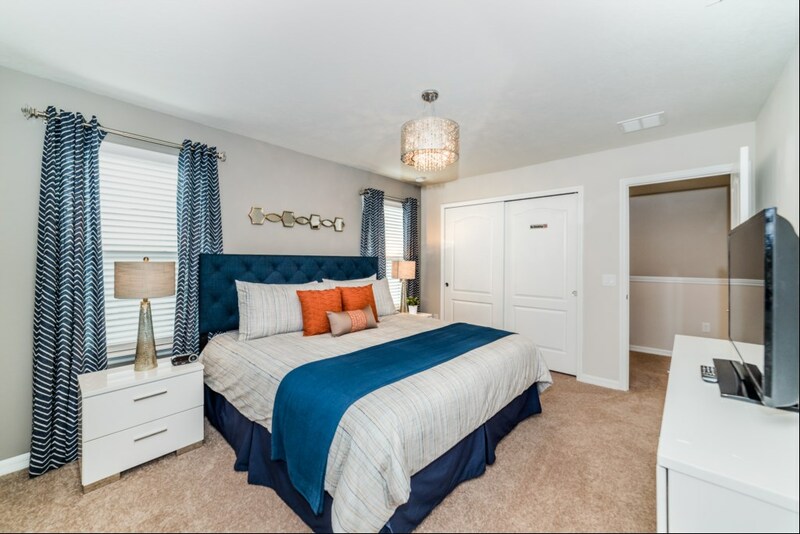 Enjoy this luxury vacation home located in the upscale resort community Windsor at Westside. 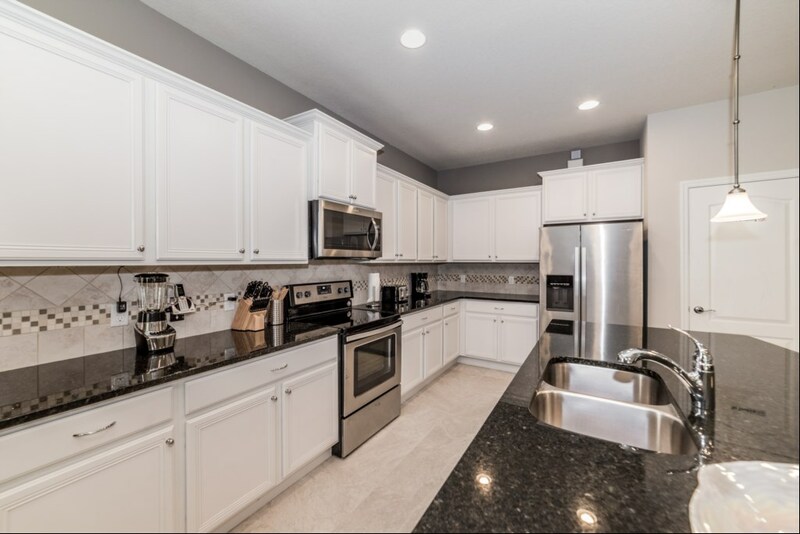 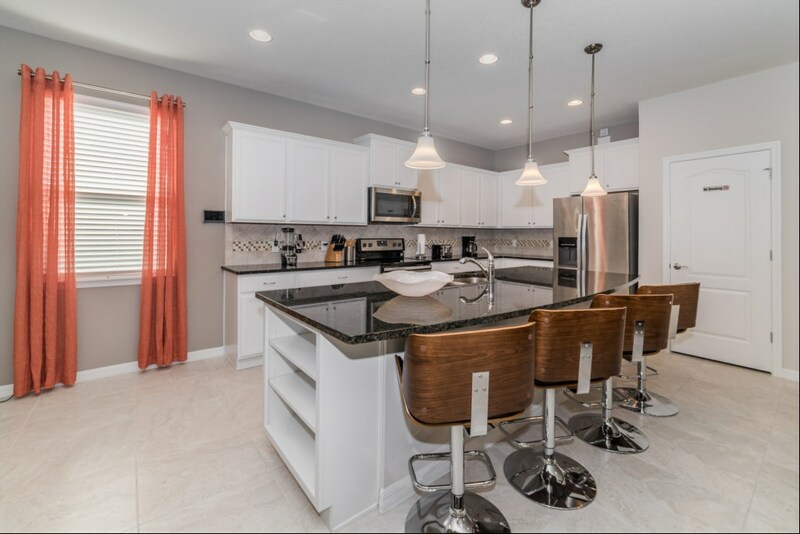 The big and open kitchen is definitely the focal point in this incredible home, with updated cabinetry, granite countertops, stainless steel appliances and an amazing flow, it’s definitely a chef’s dream! 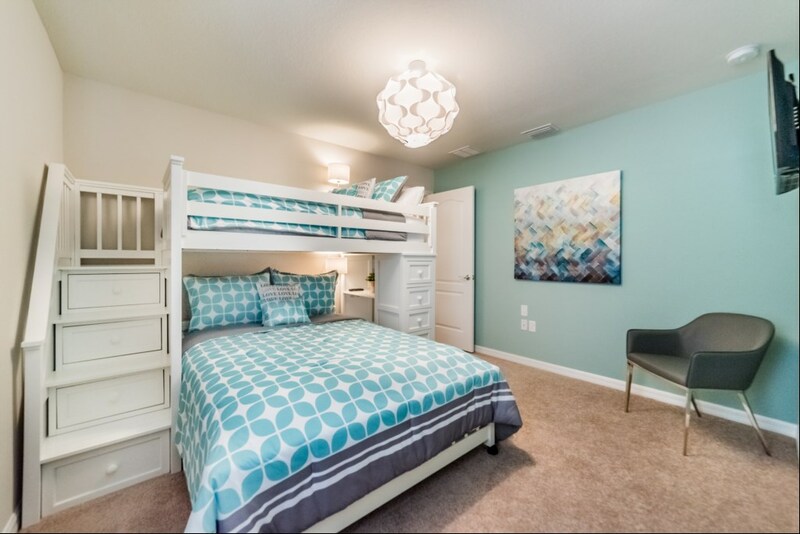 Enjoy the open concept with a 20 chairs dining table and comfortable living room; 8 bedrooms, including 3 suites; bedding consists of 3 king beds, 2 Queen, 2 Full, 2 Twin and a bunk bed with a full and twin bed. 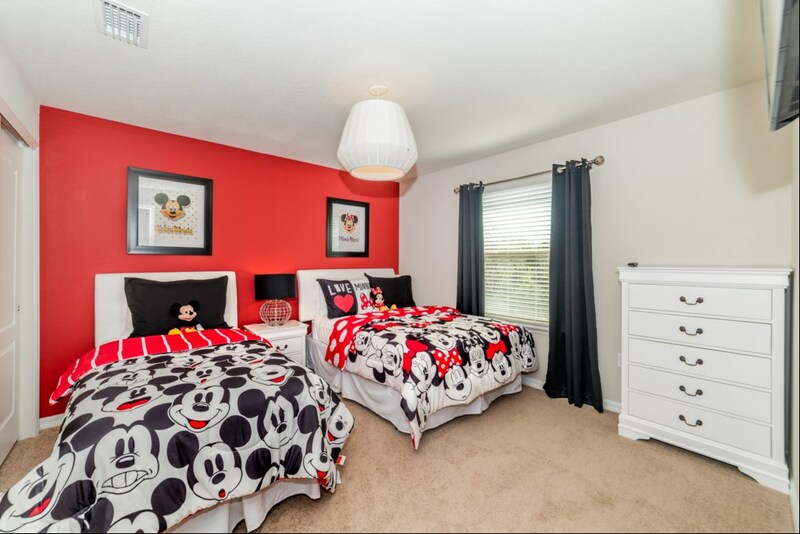 The Mickey themed rooms will be a big hit with the little ones. 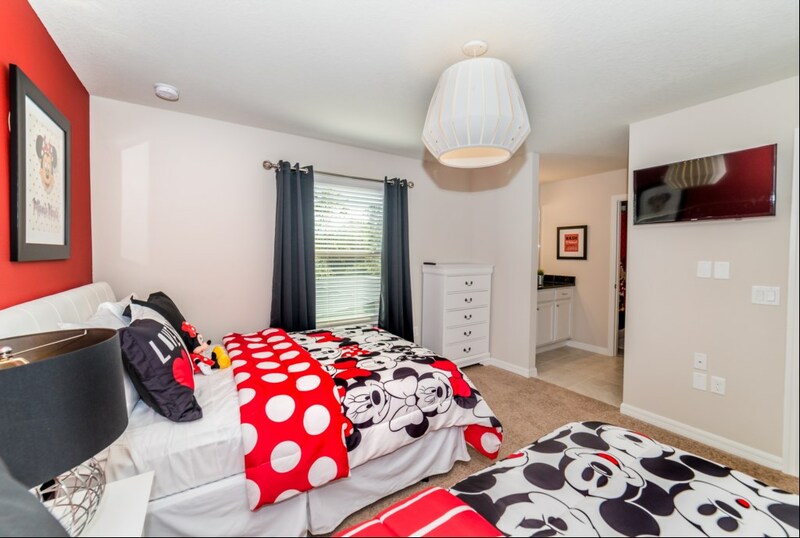 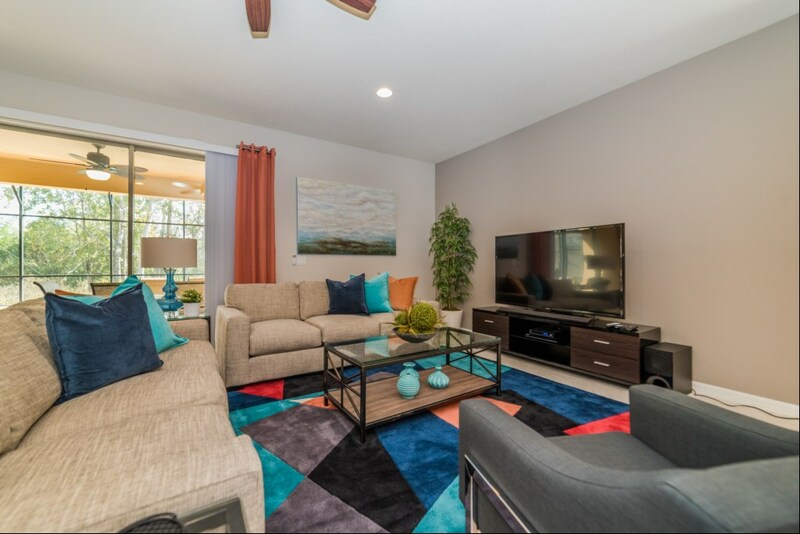 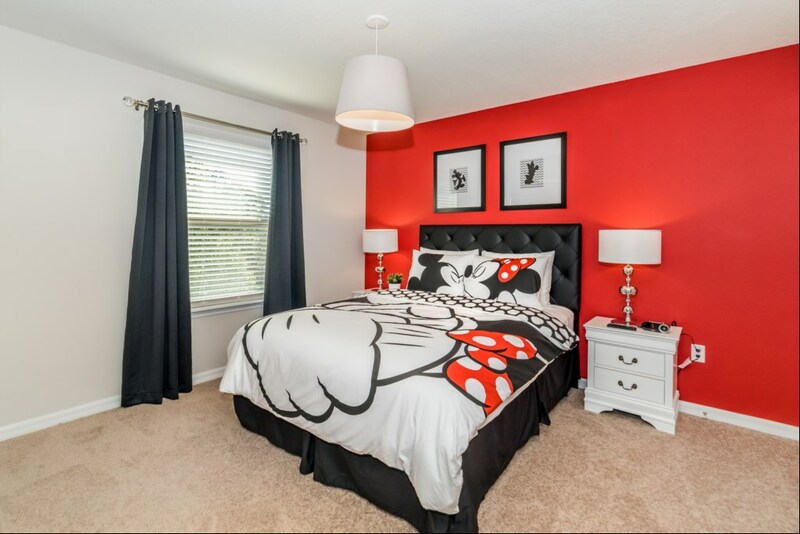 This Stellar Disney Home has been furnished with comfort and practicality in mind, ideal for a large group of family or friends who want to get away in Central Florida; featuring a large screen 55” LED TV in the family room, a 60” 4K TV in the Loft and 40” TVs in all bedrooms. 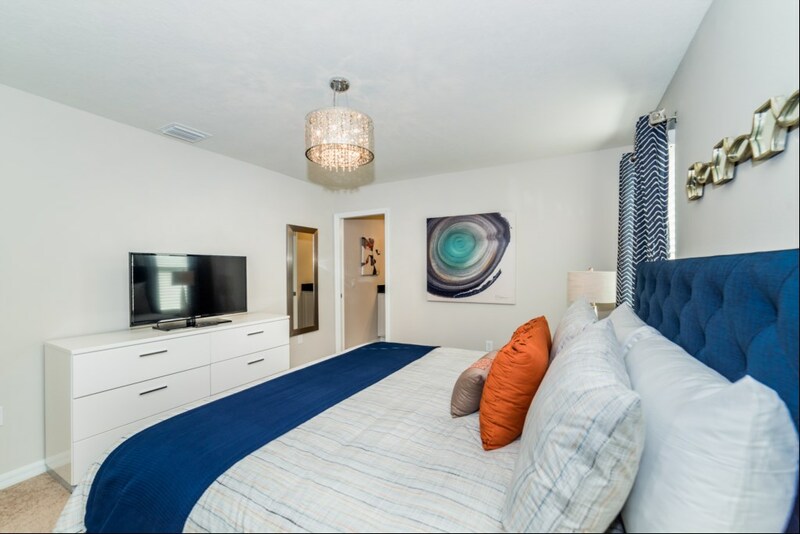 Cable TV and high-speed Wi-Fi internet are included FREE of charge. 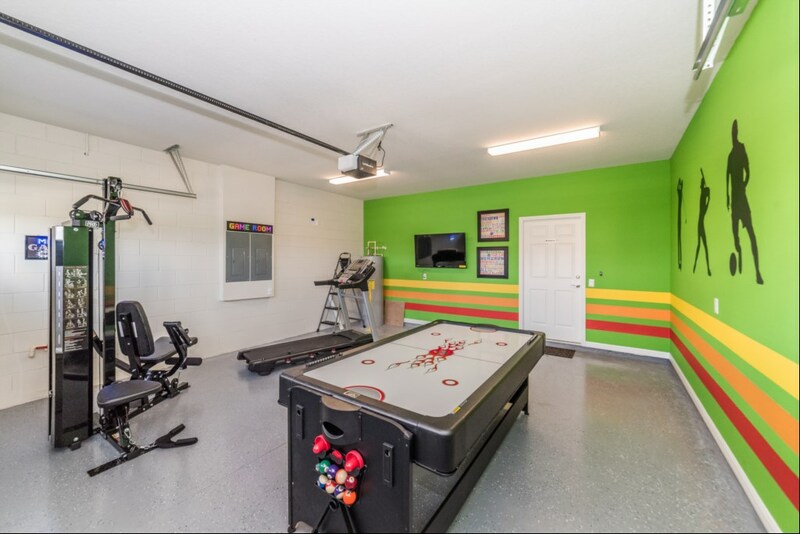 For some friendly competition and no to miss your daily workout, we have equipped a game room/fitness room for you. 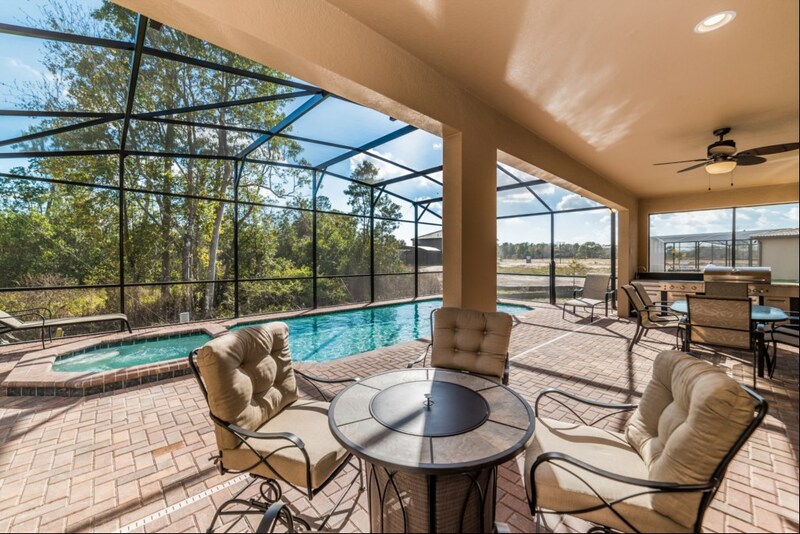 And not to forget the amazing pool with spa, and a spacious patio with a complete outdoor kitchen for the meat lovers, or just for relaxing while enjoying the breathtaking nature view this home offers. 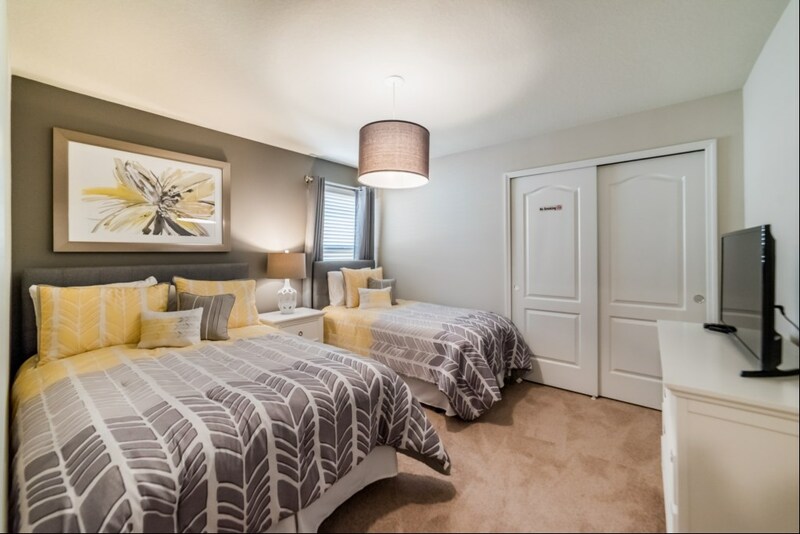 Facing towards the lake and surrounded by gorgeous trees in the conservation area on the back, privacy on your vacation will be a plus! 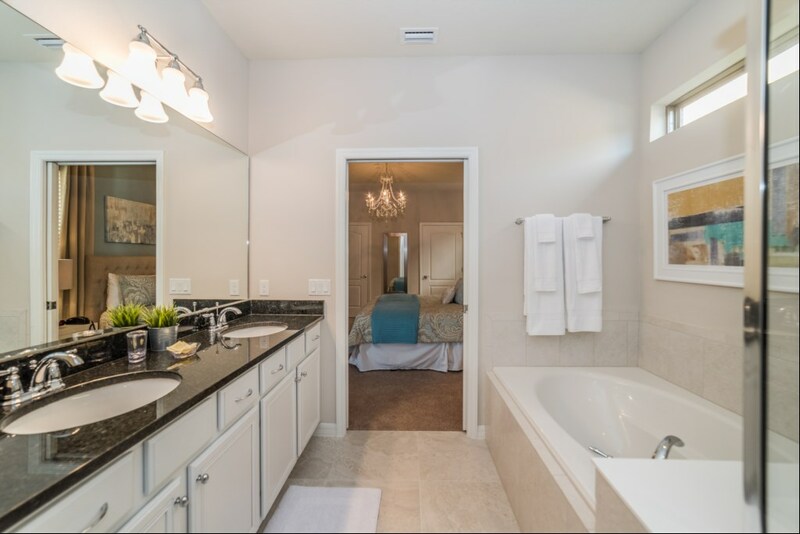 For added convenience a laundry room is at your service. 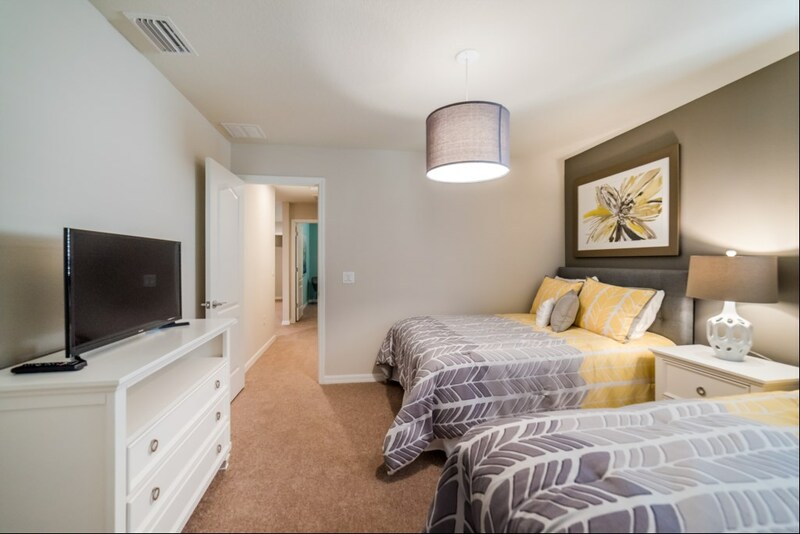 High speed and wireless Internet FREE of charge.